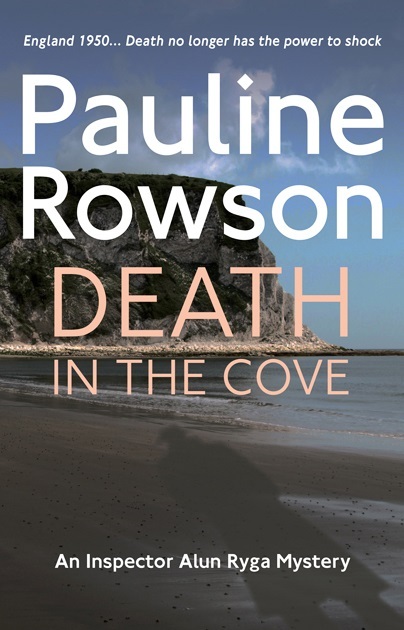 A new historical mystery crime series by Pauline Rowson, author of the DI Andy Horton novels and Art Marvik mystery thrillers, is being launched in September 2019 with the publication of DEATH IN THE COVE featuring Scotland Yard detective Inspector Alun Ryga. Death in the Cove is set in 1950 England, a country still struggling to come to terms with peace in the grip of austerity and rationing. Recently promoted to Inspector at Scotland Yard the former merchant navy seaman and German prisoner-of-war is despatched to the Island of Portland in Dorset to solve an unusual and baffling case. The body of a man dressed in a pinstriped suit has been discovered in an isolated cove on the island by war photographer, Eva Paisley. Ryga is keen to prove his worth on his first solo investigation outside of London. Ignoring the warnings of the local police inspector, and the Dorset Chief Constable, that his trust in Eva Paisley is misjudged, Ryga quickly realises that her observations could provide the breakthrough he needs in a complex murder investigation and the answer to the haunting circumstances that have sent the man in the pinstriped suit to his death. Pauline Rowson is the author of nineteen crime novels, fourteen featuring the rugged and flawed Portsmouth detective, Inspector Andy Horton; three in the mystery thriller series featuring Art Marvik, the troubled former Royal Marine Commando now an undercover investigator for the UK's National Intelligence Marine Squad (NIMS) and two standalone thrillers, the award winning, In Cold Daylight and In For the Kill. Her crime novels have been described as "Gripping, full of twists and turns, multi-layered, and compelling." Pauline Rowson says, 'I thoroughly enjoyed creating my new Scotland Yard detective, Inspector Ryga and researching and writing an historical crime novel. Policing in the 1950s was so vastly different to today, no mobile phones, no dashing about and no computers. In addition, the legacy of the Second World War was still very much in evidence. Death in the Cove will be published in paperback, as an ebook, on Amazon Kindle and Kobo and as an audio book in September 2019.